Tiger’s Glory is a Quickspin online slot depicting fierce battles between Enraged Tigers and formidable Gladiators of ancient Rome. Configured within a 4×6 grid, are 4,096 ways of winning on matched icons that need only to appear in adjacent reels. Three or more alike symbols must organise starting from the leftmost reel in order to garner rewards. An exception to this particular rule though, is the titular Tiger. Aside from being the highest paying icon, the Tiger image takes on a different attribute when occurring in free rounds. Two, three, four, five or six glorious Tiger tokens anywhere across the arena, correspondingly award 1x, 3x, 5x, 7.5x or 10x the value staked per spin. 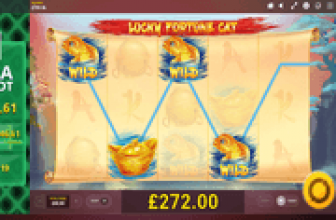 During a round of free games, Tiger icons convert as pay-anywhere Scatter Symbols. As such, they are not required to pay heed to the leftmost-reel rule, or to align in consecutive reels. Now the next best thing about Tiger icons is that it becomes a Sticky Symbol if they win Battles during bonus bouts. Such attribute, all the more increases chances of hitting glorious Tiger Scatter Wins in free rounds. Wild Symbols emerge in reels but only during base game spins. Gladiator icons on the other hand, award medium pays. Gladiator Images set against a purple and a blue backdrop, award the highest pays. Three, four, five or six of a single Gladiator type in a win-way, respectively draws 25x, 60x, 100x, or 125x the coin value staked per winning way. This game requires only 20 credits to activate all 4,096 win-ways on each spin. A minimum 0.20 Bet therefore carries a 0.01 Coin Value per credit. 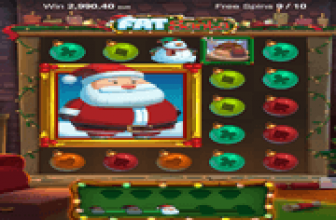 Up to a maximum of 100.00 may be wagered per spin, equating to a maximum 5.00 Coin Value per credit. Look forward to hitting a scattering of Shield Bonus Symbols in order to activate the Free-Spins Bonus Round. 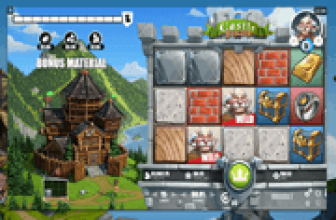 Three, four, five or six Shield Scatters set-off 7, 10, 15 or 20 Free-Spins. During a round, Enraged Tiger icons appear to engage in battle with any Gladiator that crosses its path. The event may add one (1) Extra Free-Spin and lock the Enraged Tiger image in place. The free round evaluates all Tiger Symbols as Scatter elements that complete winning arrangements in any position. When 3 or more Tiger images, including Enraged Tiger icons are simultaneously in view, a corresponding Scatter Pay is awarded. When an Enraged Tiger lands on a reel, a Battle between Tiger and Gladiator ensues. If the battle scene ends with the Enraged Tiger emerging as victor, the special icon locks in place until completion of the free round. In the meantime, regular Tiger Symbols appearing as outcomes of bonus spins may appear and complete Scatter Tiger combos. Take notice of the +1 signage appearing at the top of each reel. When the first victorious Enraged Tiger locks in place in a reel, the +1 signage becomes an additional free-spin. Since all 6 reels have a +1 signage, it denotes that up to 6 Extra Free-Spins can extend a Tiger’s Glory Bonus Round. Tiger’s Glory online slot comes with a Tiger vs. Gladiator Battle feature that transpires during free rounds. Enraged Tigers emerging as victors become sticky Tiger Symbols, and add one Extra Free-Spin that moment the first Sticky Tiger takes position in a reel. As Scatter elements, all Tiger Symbols coming into view, including any Sticky Enraged Tigers, will draw out Scatter Pays during bonus bouts.